Miss Phyllis Goodliff died on 3d May 1993 at the age of 95. She had been a member of the Huntingdonshire Local History Society for 30 years and it was a great compliment to the Society that Phyllis had bequeathed the Society her house at 4 The Walks North, its contents and the balance of two trust funds. 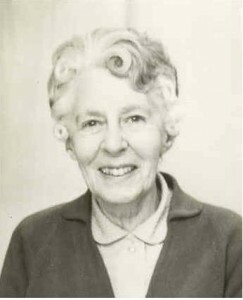 The Society decided that a fitting memorial to Phyllis would be to use the funds from the sale of her house to further research and interest into the local history in Huntingdonshire. In 1996 the Goodliff Fund was founded and that year the Society was able to provide financial support to a number of local history projects. Every year since then the Society has sought applications from individuals, groups, institutions, schools, museums and other historical and community societies within Huntingdonshire who are seeking financial support for their projects.